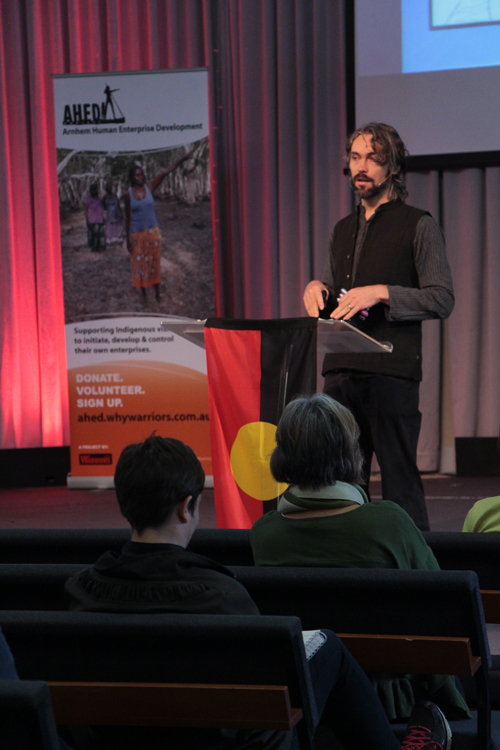 About the presenter: Timothy Trudgen is a cross cultural educator and consultant who has worked closely with the Yolngu people of North East Arnhem Land for more than nine years. He is a Director of Why Warriors and the team leader for the AHED Project, based on Elcho Island. He is proficient in the Yolngu language and has extensive knowledge of Yolngu culture. His work has involved him providing education, training and cultural support to Indigenous and Non-Indigenous Australians, to help them understand each other’s worlds. Tim’s work builds on the 35 years that his family have been working in the Arnhem Land region empowering Yolngu people. Tim has been involved in adult education in Aboriginal communities across north east Arnhem Land. He uses the people’s own language and cultural concepts to dialogue around important topics in the areas of health, politics, and economics. Tim is passionate about breaking down the barriers that exist for Yolngu people in remote communities to gain mastery over their lives and together over their communities. Tim longs to seed development approaches that are culturally aware, based on compassion and commitment to human needs and offer freedom.